This looks like a really nice LCD display with blue backlight but unfortunately we don't have the specs. The display has a main board with the LCD and a 2nd board underneath for connection. On the top board is the number E211670 and 3 built in ICs (U1, U2, and U3). On the other board (soldered to the top board by way of a 20 pin header), there is a 26 pin male header (2x13) and a 6 pin flat female connector for hookup. This board says Skye International Inc, PN 51104010B. 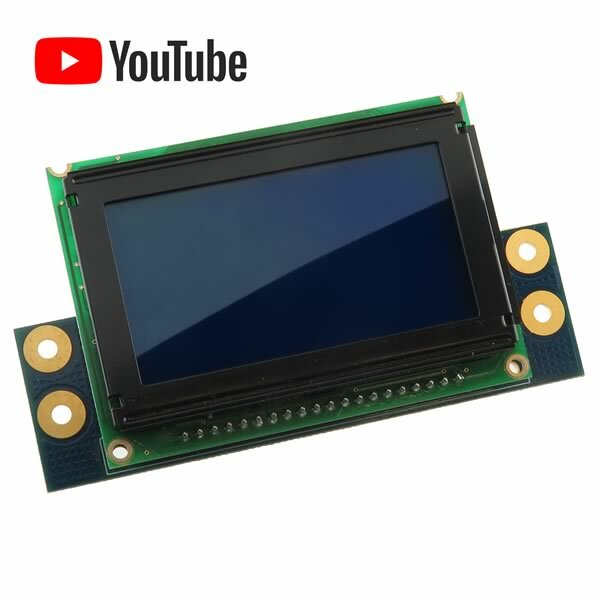 Viewable size of LCD screen is 2.32" x 1.22". Overall size of the top board is 3" x 2". The bottom board measures 3.8" x 1.14". Total thickness of module (including display and header) is 0.7". Brand new. Sorry, no specs available.